We make the kitchen and bathroom renovation easy! Do you have a kitchen renovation project in your mind for a long time? The experienced painters from Fantastic Handyman Perth can help you turn your ideas into reality! 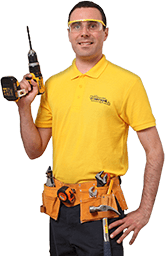 We can help you with an enormous amount of tasks from plastering and painting, to tiling and grouting, cabinet installation and repair. Our technicians can perform a variety of jobs - big or small in a timely manner. Are you tired of the same old look of the walls in the kitchen? We can help you refresh it even if you’re on a budget. Fantastic Handyman is here to take care of everything from a simple cabinet restoration to a complete kitchen renovation. Why choose our renovation services? We will finish your project on time and on a budget, no matter how big or small is. We train our technicians to complete each project to our high standards of workmanship. Customer feedback is important to us and we try our best to exceed your expectations! Do I need to provide you with the tools and materials? When it’s about tools and equipment, technicians bring everything they need to complete their job. If you’re not sure what materials you should buy, our specialist can give you advice in their area of expertise such as choosing the type of paint products or flooring solution. They can supply you with the products, but have in mind that later the cost will be added to your final cost. Our specialist will provide you with reasonably priced services. We are fully transparent in our offers and you’ll receive a cost breakdown for each service. Book our service online and get an instant quote. You can book an appointment or request a quote by using the online booking form on the website. You can connect with one of our operators through our live chat or call on the phone to answer your questions. We know it can get frustrating to maintain every detail at your home. We provide a simple solution for you. Combine our services and make sure every little odd job around your house will be finished in a single day. Choose from the wide range of our property maintenance services alongside with your renovation project such as TV installation, door repair or fixing pipes and replacing faucets.